Phlebotomy Chairs, manufactured by Winco Manufacturing, are high quality blood drawing chairs that will provide you years of trouble-free service anywhere you need to draw blood, such as clinics, labs, outpatient centers, and hospitals. 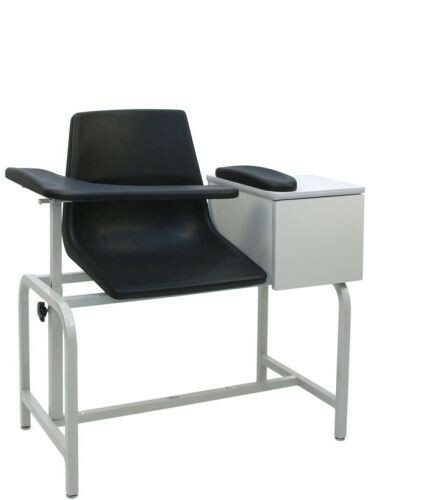 Depending upon your specific and individual needs for your patients, we offer blood draw chairs that come with or without cabinets, padded or unpadded seats, bariatric or standard sizes, and even power operated chairs for an efficient flow of work. The blood draw chairs that feature cabinets are perfect for storing needles, blood collection tubes, alcohol wipes, or other vital phlebotomy supplies, specifically ones to which a phlebotomist or medical assistant might need quick access. The padded seats and armrests, additionally, are great features that offer comfort and protection to your patients, especially in the event that they collapse forward or faint. 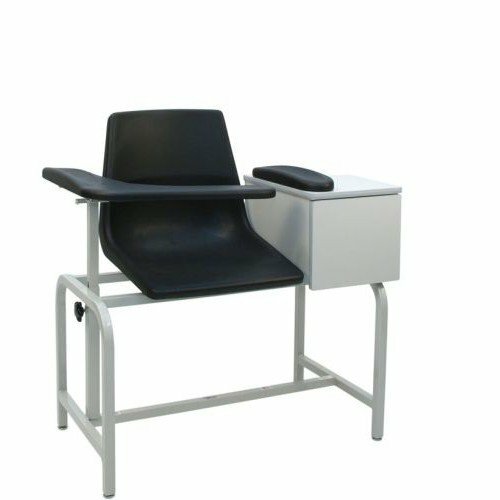 However, if your work with a high volume of bariatric patients, you might want to consider the bariatric phlebotomy chairs. Order now and transform your health care setting for the better today! Great for a variety of health care settings, including clinics, labs, outpatient clinics, and hospitals. Product Numbers: 2570, 2571, 2572, 2573, 2574, 2575, 2578, and 2588. Application: To offer a safe, secure, and comfortable place for patients to sit while a phlebotomist or medical assist draws blood.